Time to Pay It Forward with the Charlotte Buckeyes April Community Service Project! This year we will be supporting Samaritan's Feet Shoes of Hope project. This initiative provides shoes to impoverished children, helping to prevent the spread of disease by protecting the feet from infections and contaminated soil. We will be sorting shoes for later distribution. When: Saturday, April 27th from 9:30 am to 12 noon. Please wear your scarlet and gray and look for the Buckeye group around 9:15. How to Register: Use the link below to "buy" a $0 ticket so we know who to add to the club's current reguistration for the event. This way everyone doesn't have to submit an individual registration. 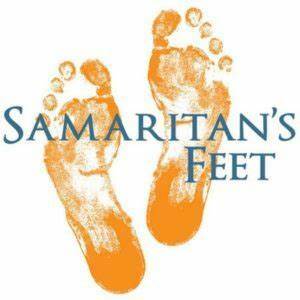 Giving back to the community is an important goal of our club, so please join us at Samaritan's Feet to help sort shoes that will be used in local and overseas shoe distributions.